Competitive prices for windows, doors, conservatories and roofline. Our double glazing options allow you to bring a modern flair to your home. Visit our online quoting page today, where we'll ensure you get the ideal price. We make enhancing your Kings Lynn home easy with our exceptional range of double glazing, offering market-leading designs that have been designed to capture excellence from the ground up. We offer a comprehensive selection of styles to ensure you get the one that is perfectly suited to your home, quickly and easily. Excelling in thermal efficiency, security, durability, appearance, functionality and design, we utilise the uPVC profile from Liniar across our double glazing selection. You’ll be able to bring a new addition to your home that achieves market leading standards, making use of contemporary innovations to simply offer more. There's no need to settle for less. We offer an extensive range of double glazed windows, which allows you to benefit from a wide range of appearance and functions. Our collection includes uPVC casement windows, uPVC flush sash windows,uPVC tilt and turn windows, uPVC French casement windows, uPVC sliding sash windows and uPVC bow and bay windows. You’ll be able to enhance your home, no matter if it is modern, traditional, period or heritage. You’ll also be able to choose from an extensive range of double glazed doors to suit your tastes, preferences, budget and property size. Our options include uPVC front doors, uPVC back doors, composite doors, uPVC stable doors, uPVC French doors, uPVC patio doors anduPVC bi-fold doors. All of our doors are manufactured with premium grade materials and contemporary manufacturing techniques to ensure they excel in all areas. 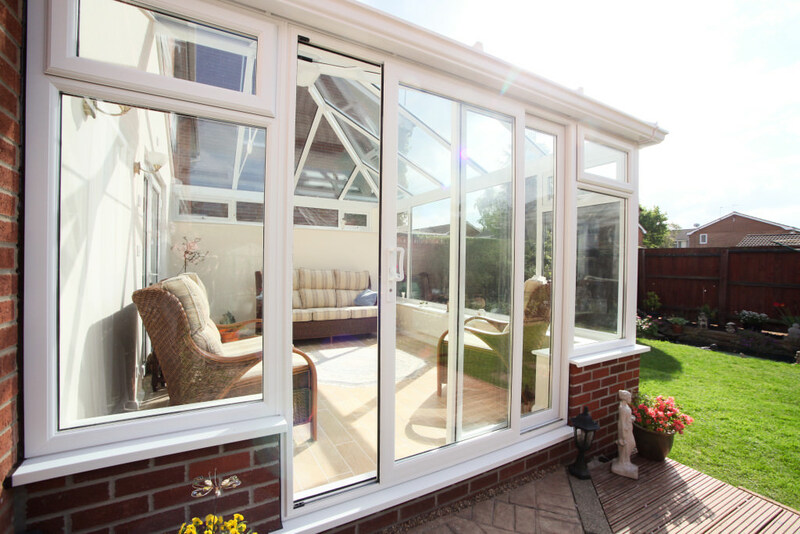 Standing as a cost-effective alternative to a house extension, our range of uPVC conservatories, orangeries and conservatory roofs allow you to bring a new living area to your home that remains warm and comfortable throughout the year. 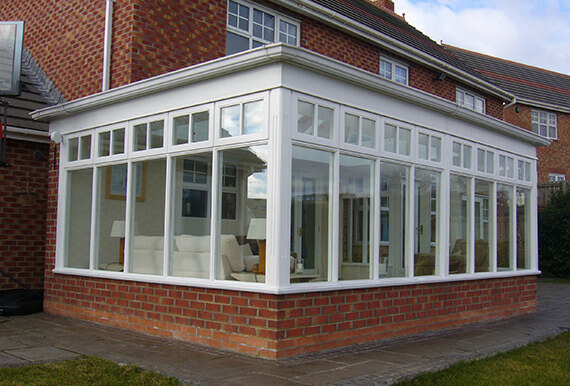 Our conservatories and orangeries can be used for a wide range of uses, including living rooms, gyms, dining rooms, play rooms, offices and a wide range of other uses. 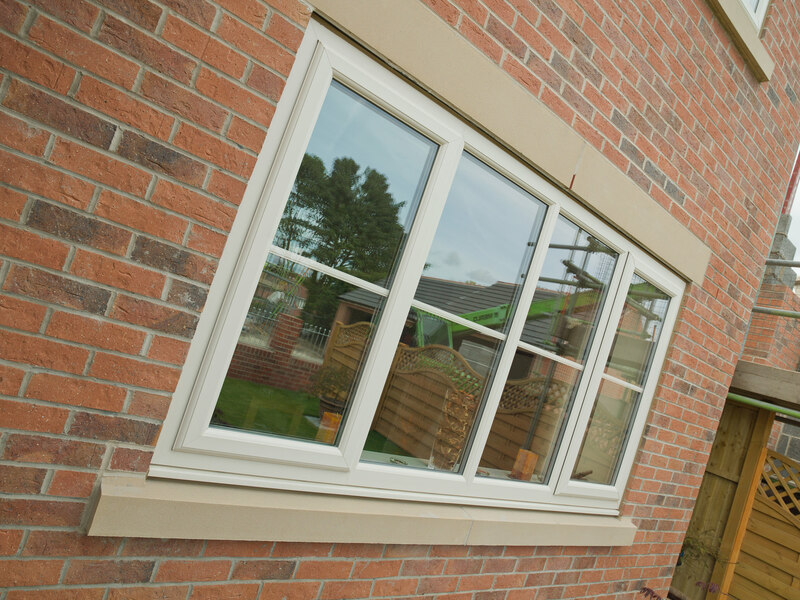 As proud members of the Double Glazing Network, we specialise in the installation of the market-leading uPVC profile from Liniar. This 6 chambered design is the only uPVC profile to have been designed in the 21st century, and is therefore in keeping with contemporary requirements and design. Our trusted partnerships with revered companies such as Yale and Pilkington means we can guarantee the best quality available, across the board. The Liniar uPVC profile combines premium grade uPVC with intelligently designed internal structures to capture a degree of inherent robustness and rigidity that allows you to enjoy complete peace of mind. This means that they can withstand prolonged and intense attack, which ensures all would-be intruders are kept at bay. This standard of security is then enhanced with the high performance, world-class locking systems from Yale. We make sure to integrate these locks into the frame to ensure they cannot be easily accessed, which prevents them from being used as a leverage point by any would-be intruders who may be trying to gain access into your home. 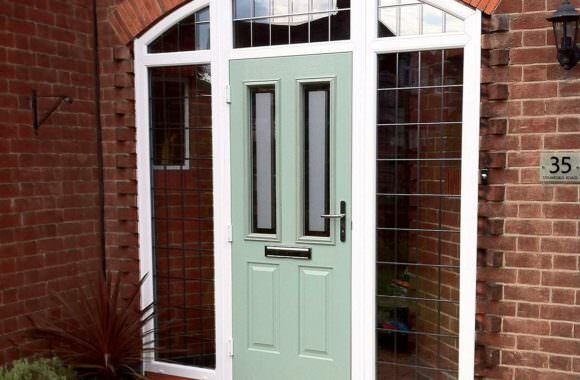 All of our double glazing options can be decorated in a wide range of high quality, long-lasting colours to ensure they effectively complement the aesthetic of your home. This means that whether your home is modern or traditional, period or heritage, we’ll be able to offer you a home improvement solution that is set to satisfy. All of the colours that we offer are applied with a highly durable coating to ensure they don’t flake or peel over time. 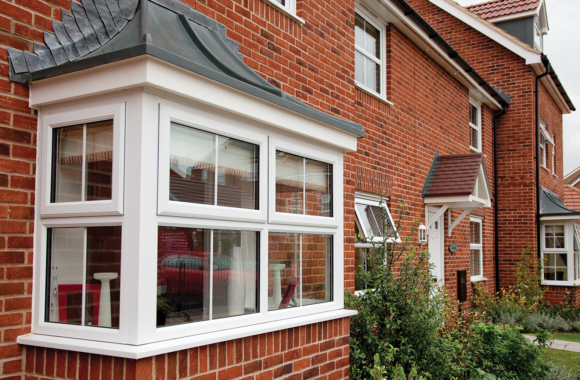 This means that even after prolonged exposure to the elements, all of our double glazing options will maintain their fullness and richness to stand as an eye-catching, worthwhile investment for your Kings Lynn home. We pride ourselves on offer a double glazing installation service that revolves around professionalism, reliability, efficiency and promptness. We understand that poorly fitted double glazing can prove to be detrimental to home comfort and aesthetic, which is why we always strive to ensure things are fitted as they should be. We also understand that you want to enjoy your new home improvements as soon as possible. We always work as quickly as possible to ensure we minimise disruption to your daily life, which makes the whole process as stress-free and short as possible. Although we work to a quick standard, we never compromise on the quality that we offer. Visit our online quoting engine today to get a free, instant and competitive double qlazing quote in the King’s Lynn area. You’ll be able to enjoy premium standard home improvements in a cost-effective way as our quoting engine will provide you a price that has been based on your exact specifications. Simply follow the step by step process, today. You can also get in touch with us via our online contact form should you have any questions regarding our double glazing, our products or our prices. We have refined our customer service over many years to guarantee we always deliver complete satisfaction. You won’t have to settle for anything less with W.F.S Anglia (Ltd.).